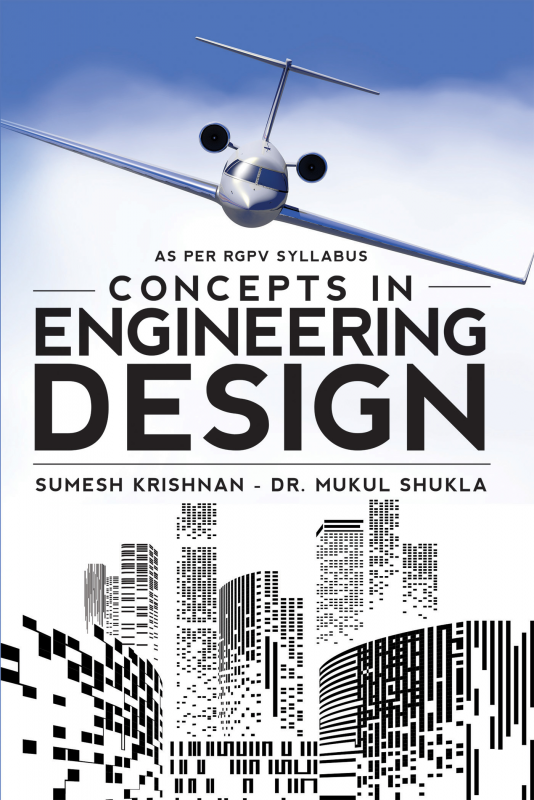 In our endeavor to reinforce and emphasize the benefits of modern industrial design course to many students across India we are bringing on a small edition of this book titled “Concepts in Engineering Design” .The subtlety of creation with problem solving approach is needed to be deeply ingrained into the vast diaspora of Indian students; especially with emphasis of government on make in India , start up India and zero effect zero defect projects. It is abundantly clear that classroom teaching has to be up scaled with practical approach and industrial reasoning. So the takeaway from this course to students, researchers and professional after the course should be engineering with a systems approach, involvement of design development as a team, integration of several streams of learning like environmental, physiology etc. into the Concept of Engineering Design. We wish we are in some manner involved in changing their outlook from classic learning to professional learning involving them into project based activity, case studies ,resourceful learning etc. They become agents of change for future generations and they grasp the fact that they can become professional designers and not merely subservient engineers. Good luck. Sumesh Krishnan: The esteemed author with a penchant for writing, completed his B.E. (Mechanical), M.B.A. (Marketing) and then followed them with an M.Tech. After 15 years industrial experience and 7 years into academics, he is largely concerned about the divide between the divide of performing engineers, employable engineers and the current lot of graduating engineers. He seeks in augmenting the gap between theory and practice, the vacuum between learning and skills, and the dichotomy between knowledge and innovation. In the longer run he intends to bring a series of books and videos to redeem this situation. The author thinks if he could motivate, encourage and empower the budding engineers even marginally through this book edition; he would be largely blessed. Mukul Shukla: Mukul Shukla carries an experience of more than 25 years and is an inspirational academician at MNNIT Allahabad. He did B.E. (Mechanical), M.E. (Design) and PhD (from IIT Kanpur) and has chartered several frontiers of technology and knowledge, ultimately focusing his energies on the frontiers of research in “Design, Composite Materials and Additive Manufacturing (or 3d Printing)”. His literary and academic excellence has been imbibed in the form of best practices in academics and student supervision. This book is just a small effort but a gigantic leap towards unleashing his knowledge of Design into an assimilating compendium. As Arthur Wade said “The mediocre teacher tells, the good teacher explains, the superior teacher demonstrates, the great teacher inspires". In consonance to the great writer’s words together he moves along with the engineers in making, to ensure a more creative and path breaking career for them in the near future.